We are responsible to our clients for a full-range of services of the agency. When you call us, we're there. We're there to discuss your ideas, plans, and goals and to reach them with the best and most cost-effective solution. We are your agency advocates, if you have any queries concerning terms, timelines, invoices, payment, etc. call us and we will be there for you. We've worked in the print industry for over 15 years and have obtained the knowledge and experience to exceed your project's needs and expectations. 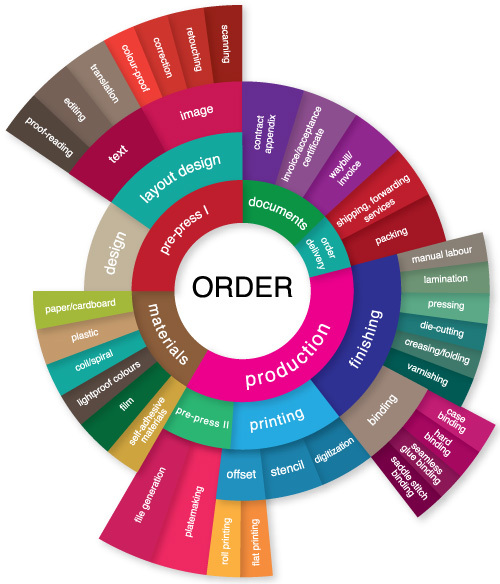 Our team of professionals have obtained university degrees in printing and design arts. We are very proud to have on our team some of the most outstanding professionals in their area of expertise who are focused on creative development and "speaking" through their work. Elena Petukhova and Nadezhda Tumakova.